Wildlife Forensics is growing rapidly throughout the world to support wildlife law enforcement. The information on this page provides some key background references to the subject. 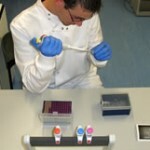 What options exist for those interested in making the best use of the wildlife DNA forensic capacity in their country? Dr Rob Ogden discusses. 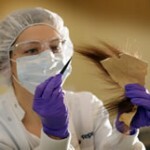 What is wildlife DNA forensics? In this paper, we look at what wildlife DNA forensics is, where it came from, and why it is different to academic research and conservation genetics.